Pilates and yoga for dogs? I have that Friday feeling again…. It’s been a long week for us all, and now it’s Friday, the one day I allow myself to blog about something less serious than usual. As you will know, usually that means celebrities that do Pilates. But today I want to try something different! Whilst out walking in Barcelona yesterday, I saw this fella lying outside a supermarket waiting patiently for his owner to return. He looked so relaxed and chilled out (as many people in Barcelona do), I snapped him and posted him on my Instagram page. I got such a great response that I decided today we should have a little competition. So, here is my Friday challenge to you! 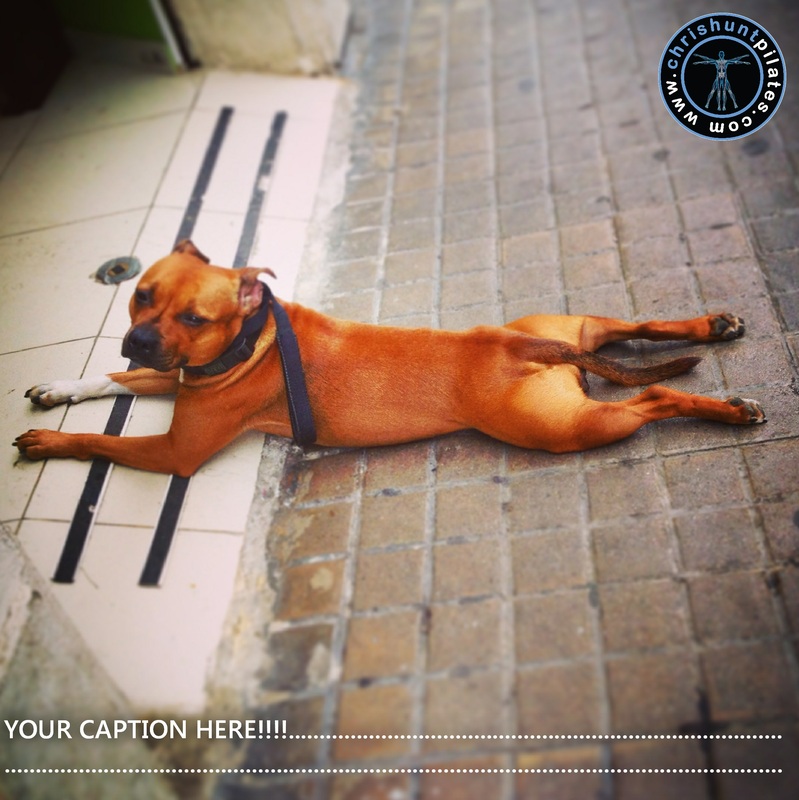 Send me your best caption for this picture of my Barcelona doggie friend related to Pilates or yoga, and I will include your caption and your name on the image and post it around the web so everyone knows that we have a sense of humour! Silly? Yes, a little. But in the wonderful words of George Bernard Shaw, “We don’t stop playing because we grow old; we grow old because we stop playing.” So let’s play…. And have a wonderful Friday! 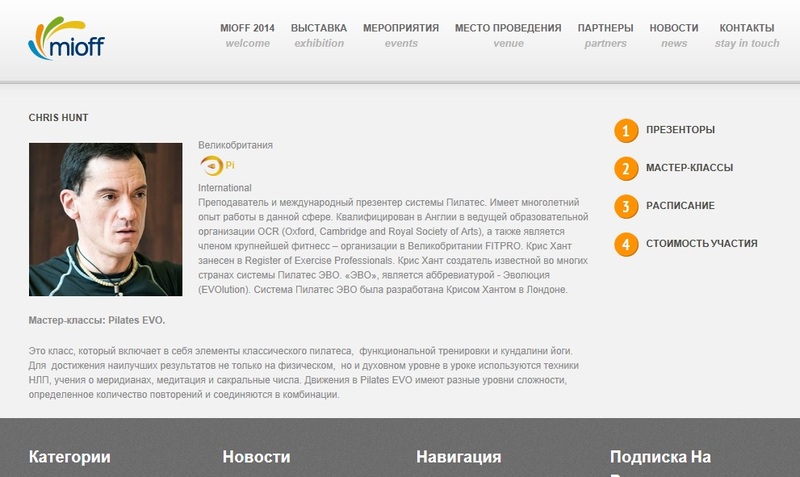 I will be presenting Pilates EVO in Moscow, Russia at MIOFF in October 2014. I hope to see lots of my friends there and I am sure that I will meet lots of new friends as well. Click on the image above to read about MIOFF and Pilates EVO (there is an English language option). During my visit in October I will be holding a 3 day Pilates Foundation Education, a 3 day Pilates EVO Advanced Education, and a 2 day Introduction to Pilates course. There will also be some Pilates EVO masterclasses. For more information about attending the courses, please contact me as soon as possible as places are very limited. If you are a club in Moscow and you want to talk about bringing Pilates EVO to your club, then please contact me.